Pets are truly members of the American family. About 60% of the households have at least one dog, cat, bird, or other companion animal. Many have more than one. Pets are popular because they provide companionship, joy, unconditional love, a sense of safety, and often a service. These are probably some of the reasons why you’re thinking about getting a pet. Animals are fun to be with every day. They make us feel good! Selecting a pet should be a family project with everyone’s needs, concerns, fears, and medical history (including allergies) considered. Family members should decide together what kind of animal they want, the amount of time they anticipate spending with it, and the amount of responsibility each person is willing to assume. Be realistic. Promises from some family members, particularly children, may not be fulfilled. You’ve read articles about millions of unwanted pets that have to be put to death each year. Pets selected on impulse sometimes end up this way. These pets once belonged to people who fell in love—and then changed their mind. Good sources of guidance concerning choosing a pet would be your veterinarian, public libraries, humane societies, animal shelters, animal-control agencies, breeders, obedience trainers, and local kennel, cat, and bird clubs. Dog and cat shows offer the advantage of comparing many breeds at one time. Are you the stay-at-home type, an outdoors person, or an always-on-the-go person? 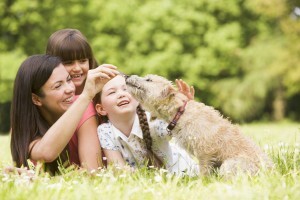 This can drastically determine what kind of pet is best for you. Dogs require much more personal attention than a cat, bird, fish, or pocket pet. Active dogs need more space and more daily exercise, while more sedentary dogs may do well with more inside time and may get enough exercise within the confines of a house or apartment. For their own safety, dogs and cats should not be allowed to run uncontrolled, but should be walked on a leash or exercised in an enclosed area. Most animals are better kept indoors or in a suitable kennel while you’re gone. Will the animal you’re considering have the temperament and physical attributes to participate in your outdoor activities, or in quiet pastimes at home? If your leisure activities take you away from home, who will care for the pet in during your absence? Read about the temperaments and needs of species and breeds and identify those that best match your lifestyle. Pets depend on people for daily affection and attention. Young puppies and kittens require time for housebreaking, training, and feeding. Are you gone all day? Do you frequently work late? What will you do with your pet during long absences? Feeding, exercise, grooming, and play are daily commitments that must be considered in caring for a healthy pet. There are two basic types of dogs: purebred and mixed breed. The 124 recognized breeds are grouped into seven categories: hound, working, terrier, toy, sporting, non-sporting, and herding. There are thousands of mixed-breed combinations! Each kind has a unique personality. Primary considerations, in addition to personality, include temperament, size, and coat. 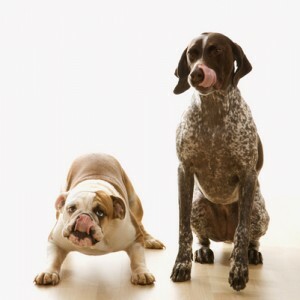 Some breeds may have traits that may be objectionable, such as hyperexcitability or a tendency to bark. Dogs originally bred for a specific purpose tend to retain these characteristics. These dogs may require additional training and patience. Selecting a specific breed does not guarantee a particular behavior, but choosing offspring from animals with a desirable temperament does increase one’s chances of getting a better pet. You don’t have to get a puppy to train a pet to behave the way you want. You can teach an old dog new tricks! If you decide on a puppy, be prepared for several months of housebreaking and initial medical expenses. For some families, the best choice is an older, housebroken dog whose temperament, size, coat care, and behavior are established. When adopting an adult dog, inquire about its background. Many good dogs are abandoned simply because their owners can no longer care for them or no longer want them. The more you can find out the better, as you want not to adopt one that was given up because of some troublesome behavior. Breeders will sometimes place an adult dog in a home when its show days are done. Many people who are moving will also give their dogs away. These animals can often make excellent companions. Providing a homeless animal with love and security can win you a loyal companion. Working couples and retirees, as well as other families and singles, have discovered that cats are wonderful companions. Their entertaining antics and affectionate behaviors have endeared these animals to millions of owners. Cats come in all colors and with all kinds of coats, including short, long, and curly. Some cats are quiet and independent, but all cats need and want attention. As with dogs, there are purebreds and mixed breeds. Each breed has certain characteristics. 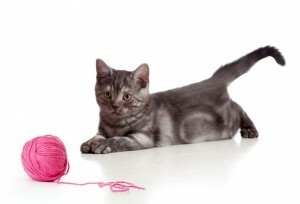 Although every cat is unique, certain breeds tend to be more inquisitive, lively, placid, vocal, or gentle than others. When selecting a cat, apply similar criteria to those used in selecting a dog. The cat should be neither too shy nor too aggressive. A healthy cat should actively seek attention from people. Easily housebroken and fastidious, cats also don’t have to be walked. For these reasons, many apartment owners and condominium associations allow their residents to keep cats. Most cats readily adapt to a variety of environments. People with limited living quarters may find that fish and reptiles, fit perfectly into their lifestyles. Before deciding on a reptile or fish, learn as much as possible about its needs. 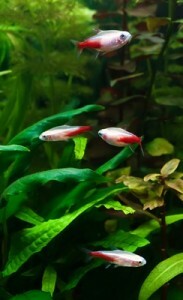 Maintaining an aquarium (marine or freshwater) can be a challenging and exciting hobby. The habitat and fish population can be varied over time. Start small and gain experience. Watching a few fish swimming lazily in a tank can be relaxing for an adult after a long day—and fascinating for a child. For those who don’t have the space or time for a traditional pet, good alternatives include domestic mice and rats, gerbils, guinea pigs, and hamsters. Many of these animals have distinct personalities and respond to their owner’s voice. A proper cage and nutritious food are a must. Learn to identify the signs of illness in your pet and when the pet needs veterinary care. Rabbits make wonderful pets. We have quite a few of them coming into the clinic, and they are very nice and trainable. Most of them are litter trained, and their owners let them have free reign in the house when they are home. Your house should be rabbit-proofed, as they do like to chew on things. 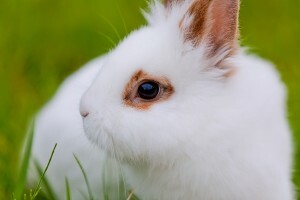 Please visit the Columbus House Rabbit Society website for more info on rabbits. More and more people are discovering the attraction of birds. 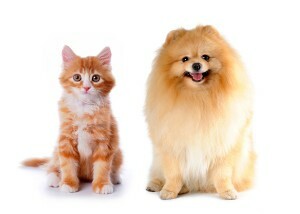 They are often ideal pets for people allergic to cats and dogs. Investigate the needs of the bird you are interested in owning. 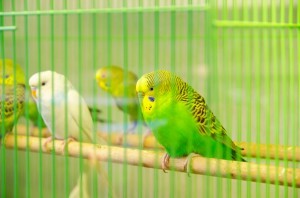 Some birds may require special seeds, fruits, or vegetables, while others require large cages. All birds have to have social contact. Birds are also very sensitive to sudden temperature changes and many household fumes, so look carefully for the perfect place for your bird in your house. The cost, care, and time commitment required to keep birds vary as much as individual characteristics such as color, size, personality, and life span. First-time bird owners should avoid the more expensive species. Also check out some of the rescue leagues for birds (unfortunately, there are quite a few). Birds can live a long time—sometimes out-living their owners. 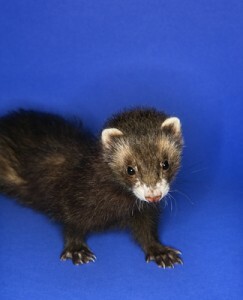 AVMA recognizes that ferrets are being kept as pets and in some states, including Ohio, this is legal. You should study the special diet and care for a ferret before obtaining one. They can make nice pets, but they need a lot of socialization and work. They should be spayed or neutered and de-scented before you buy them. These animals are not meant to be kept as pets, and it is also illegal in most states, including Ohio, to keep them. They can be very dangerous to humans and other animals in the household. Many times people obtain these animals when they are “cute” and young, only to have a major problem later. Disposing of a wild animal can be a traumatic experience for both the animal and its owner. Frequently, legitimate zoos will not accept them, and they are too domesticated to return to the wild; therefore, euthanasia may be the only alternative.